We’re excited to announce the first Featured Article resulting from a Visiting Scholar since the Wiki Education Foundation took on administering the program. In mid-October, the Wikipedia article about Boroughitis was designated a “Featured Article” (FA) thanks to the work of George Mason University Visiting Scholar Gary Greenbaum. Starting in the 1890s, the development of commuter suburbs in New Jersey led small, dissatisfied segments of existing townships to use an obscure law to break away and form separate boroughs. The trend was most pronounced in Bergen County, which today is still divided into 70 distinct municipalities (see the map). The phenomenon became so common that it became known as “boroughitis” or “borough mania.” As of 2014, New Jersey has 565 municipalities — more per capita than any other state. Only about 0.1% of Wikipedia articles have the FA designation, which is reserved for content considered the best available on Wikipedia. Last year, Gary brought 17 articles to Featured Article status, including high-traffic subjects such as Babe Ruth, William H. Seward, and James A. Garfield. The Visiting Scholars program connects experienced Wikipedia editors with academic libraries. For more information, see the Visiting Scholars page. Photos: Header image: “Bergen Passaic 1872“. Licensed under Public Domain via Wikimedia Commons. 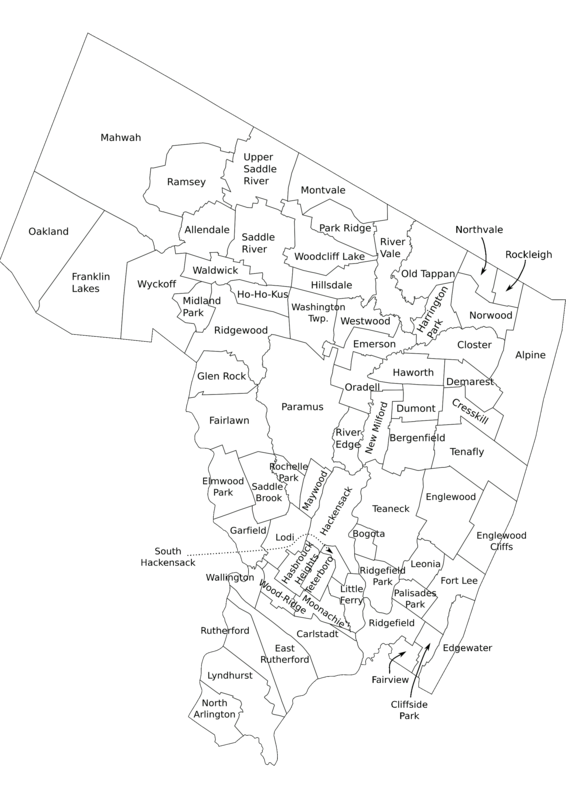 Map: “Bergen County, NJ municipalities labeled” by No machine-readable author provided. ChrisRuvolo assumed (based on copyright claims). – No machine-readable source provided. Own work assumed (based on copyright claims). Licensed under Public Domain via Wikimedia Commons.